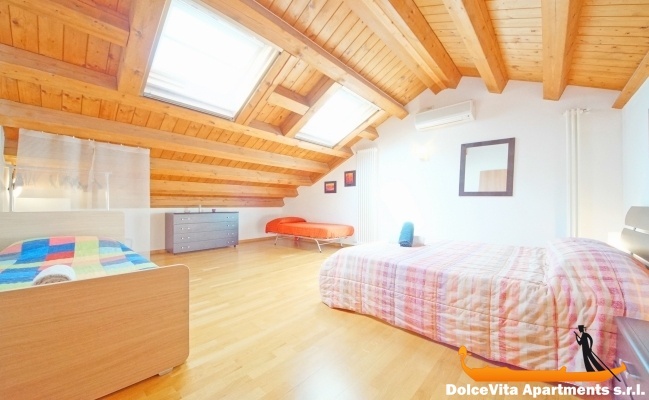 Apartment N. 167: It can accommodate up to 4 people, it is rented from 125 € per Night (not per person). 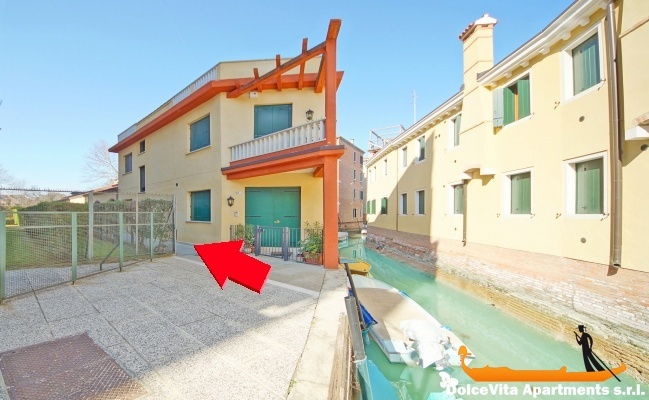 Venice Apartment in Cannaregio Area with 2 Bathrooms: Cozy apartment in the center of Venice spreading over two floors, it consists of large living area, one bedroom and two bathrooms (one with bath and one with shower). 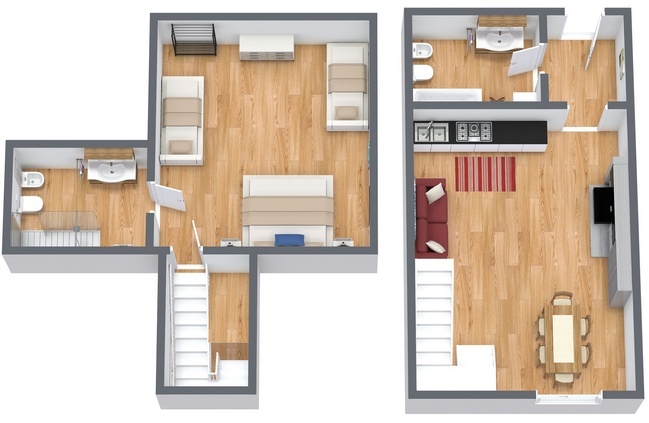 Thanks to the double bed, two single beds and a double sofa bed, it can accommodate up to 6 people. Suitable for families with children, a cot is available inside the apartment. 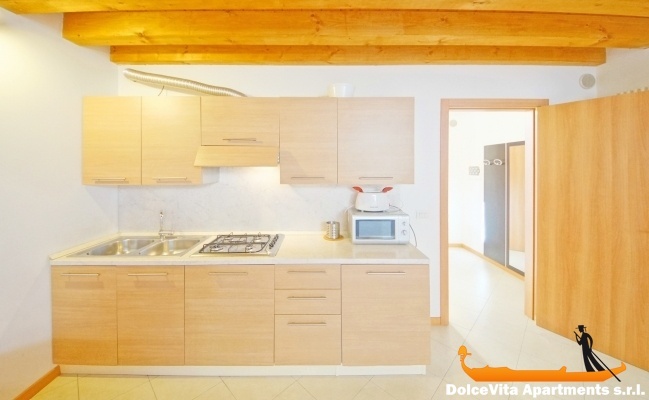 The fully equipped kitchen features microwave, refrigerator and toaster. 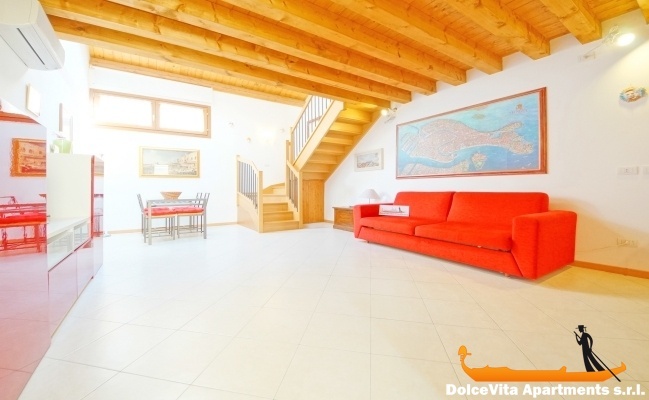 The house is friendly and very brightly lit, situated in the Cannaregio district, just at 7 minutes walking from the railway station of Venice Saint Lucia and a few meters from the waterbus-stop “Ferrovia”. Among the services available included to be mentioned: satellite TV, washing machine, Wi-Fi connection, and heating system. Towels, sheets and blankets are supplied. Everything perfect, the interlocutor easily available by telephone. We have been very well. 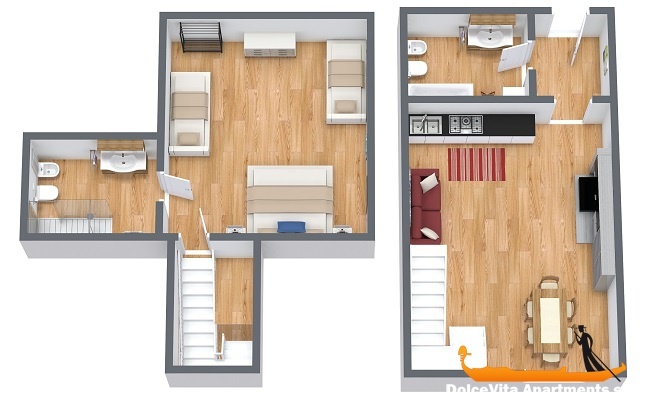 Very well located, spacious, clean and no noise. to recommend. 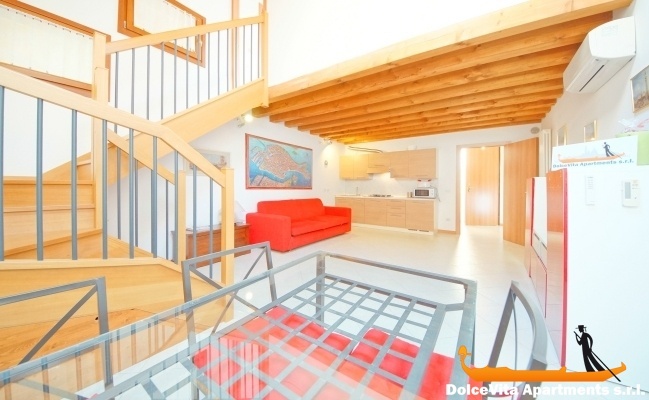 The apartment is in a very convenient location for those arriving in Venice by train. It is spacious and nice and ideal for 6 people. The owner of the apartment 167 was very courteous and helpful, especially regarding check-in and check-out.